Showered with awards and recognition for his live and recorded vocal performances, Brian Duprey's voice is the closest you'll ever hear to Frank Sinatra in his prime. This Broadway Series actor had his big break on Fox TV's hit reality show "Performing As," where he won the top prize by portraying his idol, Frank Sinatra. As an actor in the hit musical "The Rat Pack is Back," Brian Duprey spent a decade perfecting his craft and elevated the standard of tribute shows in the vein of "Jersey Boys." His lead role and creative development of the show built a 48 state tour, repeat bookings, and secured the title of Best Tribute Show of Las Vegas in 2014. He's performed in over 200 Performing Arts Theaters and Casinos across the country generating sold-out performances and rave reviews from fans and critics alike. 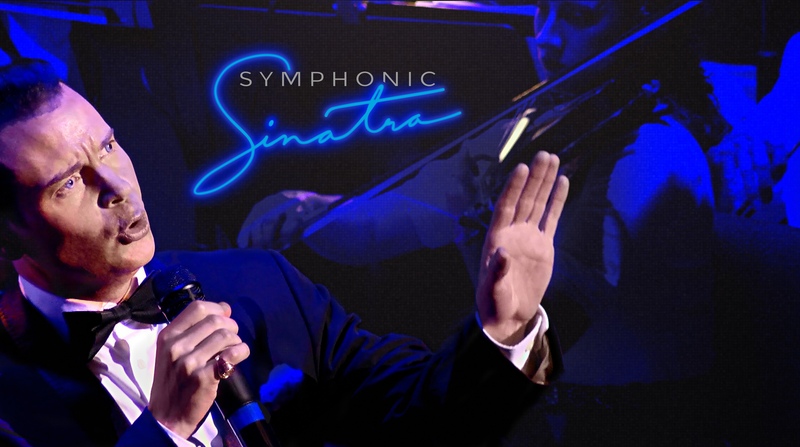 SYMPHONIC SINATRA is the only authentic recreation of Frank Sinatra in Concert. With breathtaking stage charisma, sparkling blue eyes, and a velvet baritione voice, Brian Duprey truly inhabits Frank Sinatra. Enjoy an unforgettable evening with this broadway series actor as he takes you on a dramatic musical journey through some of the crooner's iconic hits like Fly Me To The Moon, New York, New York, My Way, I've Got You Under My Skin and many more. Brian Duprey's film credits includes "Get Him To The Greek" as well as the hit TV show "CSI Las Vegas." He's opened for Paul Anka and has performed for the likes of Steve Wynn and the entire cast of HBO's "The Sopranos."